ETSI announced that a new proposal had been approved on its website earlier today, and although it did not mention Apple’s name, it does confirm that it is the “fourth form factor” (4FF) format that was chosen. Additionally, the measurements of the new nano-SIM — which are 12.3mm wide by 8.8mm high, and 0.67mm thick — match up with those in Apple’s proposals. Apple’s design has received much criticism from the likes of Nokia in recent months, because it is so small it requires manufacturers to make changes to their hardware. 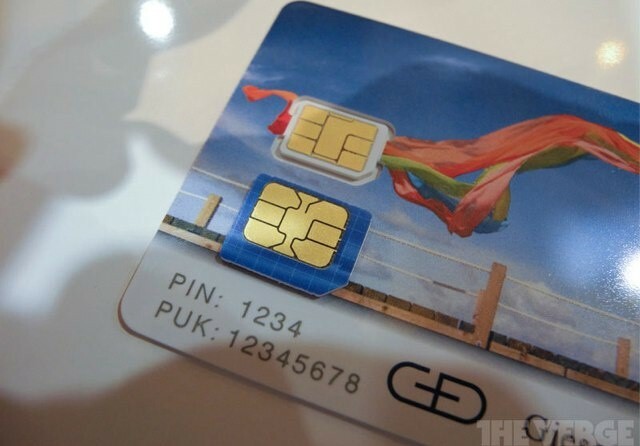 Furthermore, there are also concerns that users will be able to lodge the nano-SIM into existing SIM slots accidentally. However, Apple’s design was amended to make it slightly larger, and it seems those changes appeased rivals’ concerns.